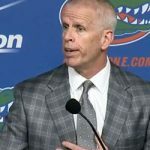 After replacing coaches in three of their major sports last offseason, the Florida Gators will now be looking to find someone to serve as athletic director after a 25-year veteran at the position and one of the most accomplished administrators in the nation in Jeremy Foley, 63, has decided to end his distinguished career. Foley announced his retirement on Monday, effective Oct. 1, ending more than 40 years of active employment at Florida and the school’s University Athletic Association. Per terms of his contract, Foley will become Emeritus Athletics Director at the time of his retirement. 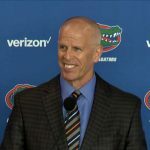 Since Foley took control of the athletic program, Florida has won 27 national titles over 13 sports with three in football and two in basketball. The Gators recently extended a seven year winning streak of capturing at least one national title. Prior to Foley’s ascension into the lead chair, UF had won nine titles in five sports over its history. Foley began as a ticket office intern at the UAA in 1976, became a full-time employee that year and worked his way all the way up to assistant athletic director in just five years, taking the role in 1981. After a short stint as interim athletic director in 1986, Foley was relegated to senior associate athletic director before taking over for good in 1992 and spending the last 25 years in his post. Florida notes that Foley will remain heavily involved in the facility enhancement projects that are currently ongoing on campus. The Stephen C. O’Connell Center is in the midst of a $65 million renovation that will not be completed until late December, while a new $25 million student-athlete facility, the Hawkins Center, is expected to open before July 1. A press conference will be held on Tuesday at 5 p.m.
Wow! 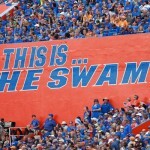 I am saddened for the UF Athletics and Gator Nation! We will miss him! Greatest AD in the nation!